Google Ads are one of the fastest ways to generate new customers with a positive ROI. 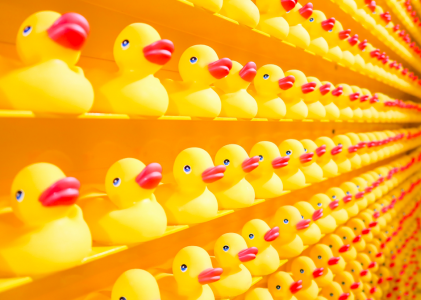 The question is, what makes for a good PPC management strategy? In this beginner’s guide, you’ll learn exactly how to plan, execute and optimize your PPC strategy. From goal setting to campaign structure and optimization, you’ll be up and running with profitable PPC campaigns in no time. Before we dive in, let’s define exactly what PPC management is and what it means for the savvy ROI-driven marketer. 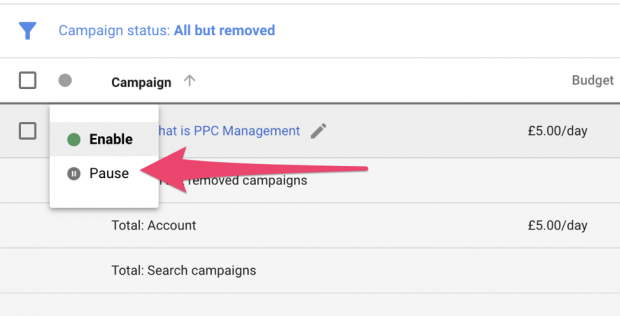 PPC management is where a marketer (or team of marketers) oversee a company’s entire PPC ad strategy and budget. This can be done by an in-house team of marketers and media buyers, or outsourced to an external agency. Keyword research: Uncovering and identifying the keywords that your target audience are searching for. Target channels: Selecting which paid media channels to pursue. These can include Google Ads, Bing Ads, display networks and even social media advertising. PPC monitoring: Measuring each campaign and keyword for effectiveness, ensuring PPC efforts are yielding a positive ROI. Competition analysis: Looking at what the competition is doing, which keywords they’re targeting and the ad creative they’re using (to uncover gaps they can fill in on their own). Campaign optimization: Monitoring campaign structure and optimizing based on top performing keywords. For example, if 10% of keywords bring in the majority of business, you may want to focus your budget on those keywords to boost ROI. 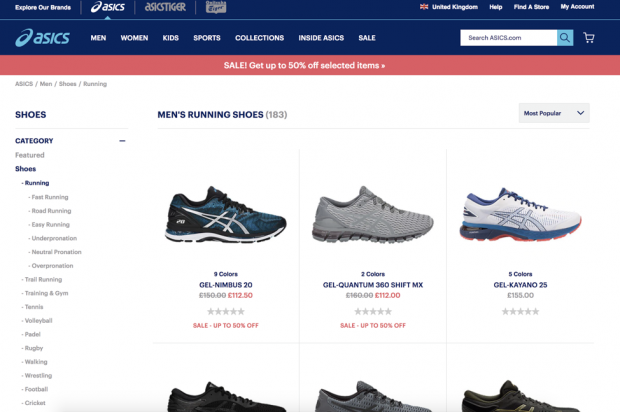 Split testing: Constant A/B testing of new ads and landing pages. Regular experiments across the entire PPC funnel. Not every organization has the resources to hire an in-house PPC manager. Therefore it may make more sense to hire an agency — especially if you’re new to the world of PPC (and media buying in general) or lack in-house resources to take care of it yourself. 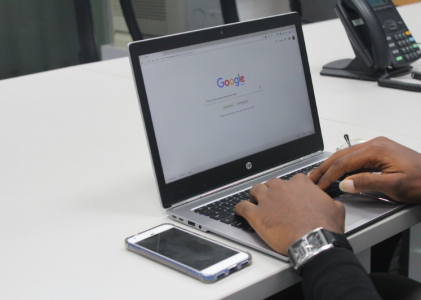 Now that you know what PPC management is, let’s look at how to do it effectively within these four key areas. Successful PPC campaigns are built on clear roadmaps. In other words, you must know where you’re going and what you want to achieve before you get started. Whatever your “true north” metrics are, it’s important you use them as a benchmark for the success of your PPC management efforts. It’s also important to understand how each of these metrics affect each other. Just because you’re getting a 500% ROAS doesn’t mean your product margins are healthy as a result. It’s also important to be realistic with your expectations. It’s important to be optimistic about your PPC ROI and shoot for the moon, but to expect a 1000% ROI right out the gate is unrealistic. Increasing the number of purchases: If you’re selling digital products or running an ecommerce store, getting website visitors to make a purchase is your number one goal. Generating more leads: If you offer B2B, high-ticket products or professional services, lead generation is likely your top goal. The purpose of your PPC campaigns will be to convert these visitors into qualified leads that you can later nurture into clients. Brand awareness: If you’re a new business or want to stay top-of-mind in your industry, PPC can help you do that. Of course, this should always be a by-product and not the goal itself, as brand building doesn’t always lead directly to a positive ROI. With these strategic goals in mind, you can reverse engineer each tactical element of PPC to reach them. Start this process with revenue goals. For example, your goal might be to generate an extra $100,000 over the next quarter. Then, identify your average LTV or Average Order Value (AOV) to figure out how many new customers you’ll need to reach that revenue goal. If your AOV is $170, for example, then you’ll need to generate 589 new customers to reach your revenue goal. However, using LTV might be a more realistic metric. It can dramatically reduce the number of customers you must generate, as it’s the average amount a customer will bring over the course of a year (or several years). With this acquisition goal in mind, you can begin to craft campaigns that will work towards them. Identify keywords with sufficient volume to attract the right amount (and type) of traffic. Use the data from your existing product and landing pages to predict PPC conversion rates. Google can be a great source of insight when planning your PPC campaigns. The problem is, your interests and theirs aren’t the same. Sure, the insight they provide will make for a great guide. But you shouldn’t simply follow them blindly. Yes, Google does make it super simple to get things set up (by analyzing your website for potential target keywords so you don’t have to research yourself). But it’s designed to generate them as much revenue as possible. If you’re new to the process, make sure you pause your campaigns as soon as you go through the onboarding process. This ensures that you’re not spending money from the get-go and have an opportunity to tweak and optimize every part of your campaign. Keywords: When you’re getting started, your keyword strategy will resemble spaghetti on the wall. In other words, you’ll need to see what sticks. 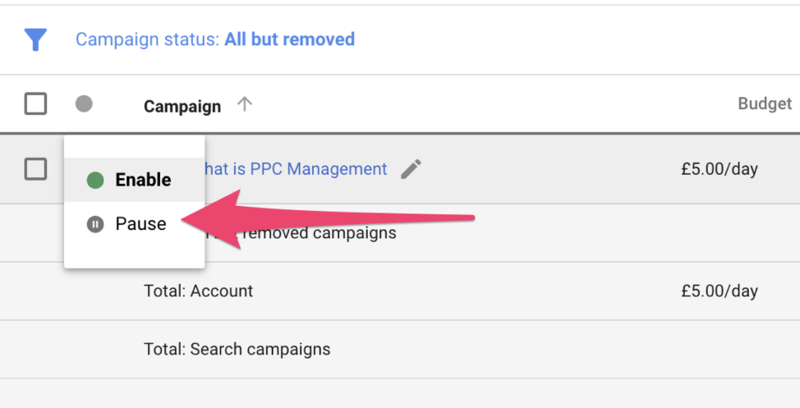 Once your campaigns have been running for a while, you can create ad groups that target specific keywords. This has a huge impact on your entire PPC marketing funnel. Campaigns: Create a campaign for specific areas of your product or service. For example, you could have one for branded terms, several for your various products categories and another for competitor terms. Ad Groups: Below the campaign level, ad groups help you to group ads together. This is designed to manage which ads will be served with which keywords. For example, digging into a campaign for a specific product category, you would create ad groups for each of your products. Ad Copy: Your ad copy must be optimized to attract the users searching for your target keyword. This means including the keyword in the headline and including copywriting elements such as benefits, social proof and urgency to get them to take action. Ad Extensions: Take up more SERP real estate by using Ad Extensions. These include location extensions, call extensions and site extensions (as illustrated in the example below). By including Ad Extensions, you make your ads more appealing and have a higher chance of increasing your Quality Score. Landing Pages: You must create specific landing pages for all of your campaigns. This is important, as it bridges the gap between the searcher’s query and the conversion. By addressing the specific needs of the searcher (which means understanding their intent), you’re more likely to build trust and convert them to customers. Analytics: Every stage of your PPC funnel must be measured. This allows you to see which keywords, ads and landing pages are working. And when you know what works, you can re-allocate your budget to those areas and supercharge your ROI. As the keyword has a high commercial intent (I’m searching for a specific kind of product, meaning it’s highly likely I’m ready to buy) it makes sense to show a list of relevant products. The keyword, ad copy and landing page are all relevant. This means it’s probable this ad has a high quality score, which in turn means more clicks at a lower cost. Remember, taking the reigns is imperative for a positive ROI from your PPC campaigns. Google’s suggestions can be a great way to seed your keyword research, but you shouldn’t follow it blindly. Do your own keyword research and select those which make the most sense to your business goals. Marketing is often a game of continuous testing — especially when you’re trying new things. You won’t always hit home runs until you have some data to work with. PPC management is no different. When you begin setting up campaigns for you and your clients, you’re going to need to burn some cash to see what works. But don’t fret: when you do it right, you can make it all back again with a positive ROI. Over the first 30 days, it’s important to cast a wide net to read the pulse of the market. The data you’ll collect over this period will drive your long-term strategy and dictate which keywords, ads and landing pages to double-down on. One way to do this is to launch both exact and broad match modifier (BMM) keywords at the beginning. You’ll get that wide net from the BMM keywords, while you see which exact match keywords are driving conversions (to refine future campaigns). This can help with budget allocation from the get-go since you can allocate money to both and get two very different types of data to help carve strategy while not burning through budget. New keyword ideas: Are there keywords appearing that perform well that you didn’t think of targeting during the setup phase? Negative keywords: Google will serve your ads on keywords that have no relevance to what you offer. Add these to your list of negative keywords, which are keywords you want to exclude from your campaigns. Top-performing keywords: These are your “money” keywords — those that generate the majority of sales. Once you’ve identified your top-performing keywords, you’ll want to move these into their own ad group. By doing this, you’ll increase your quality score. A high quality score means a higher ranking on the SERPs at a lower cost, which in turn means a greater ROI! Ad variation click-throughs: Which ads are performing the best? Split test your copy to optimize your headlines and copy for click-throughs. Landing page engagement: Are there landing pages that are “stickier” than others? Look for certain variations that have a lower bounce rate and higher time-on-page. Conversions: Finally, which of your landing pages, ads and campaigns generate the most conversions? Look for patterns in landing page design and ad copy to emulate across your other ad groups and campaigns. With all this data in hand, you can ensure your long-term PPC management strategy is optimized to perfection. Ditch any keywords that have no relevance and waste money by adding them to your list of “negative keywords.” Then, use your top-performing assets and double-down on those that generate the majority of conversions and sales. Before you begin testing, first define which metric you’re aiming to optimize. Is it CTR, CPC or conversion rates? The metric you choose will define your experiment. For example, an experiment to optimize CTR will likely revolve around target keywords or ad copy. While a test to increase conversion rates will require you to optimize your landing page. Select your idea by measuring the impact of the idea if it works, how confident you are that it will work, and the ease of implementation (also known as the ICE framework). With this in hand, it’s time to run the test. Decide what your sample size will be and how long the test will run for. You can do this by deciding on a specific timeframe or end the experiment when it reaches statistical significance. 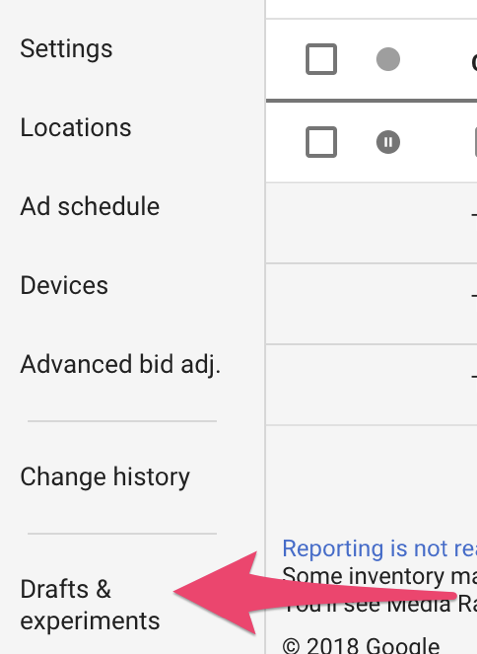 Then, under “Ad Variations,” select “New Experiment.” This is where you’ll create your new ad variation against an existing ad from the campaign you’re looking to optimize. Once your experiment has run for the allotted time frame (or reached statistical significance), it’s time to measure results. Which variation has come through as the clear winner? If your experiment was a success, roll it out as a permanent change. Then start the process again. As you can see, PPC management is a strategic initiative – not a series of growth hacks or bag of tricks. Profitable Google Ad campaigns means using data to inform, optimize and grow over the long-term. 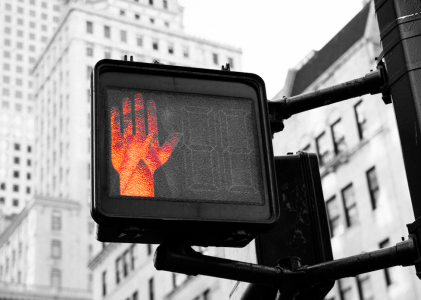 This guide should get you started on the road to profitable PPC management. Use the data available as well as what you collect over time to continuously supercharge your ROI. Acquisio’s BBM Subject Matter Expert & Digital Campaign Advisor, Katya has over 7 years of experience in digital marketing, specializing in SEM (lead gen and e-commerce) with a proven record of delivering budgets, profitability and increasing ROI.